Bought today from Orell Fuessli in Zurich! This little book of poetry by McGough is one of 70 pocket penguins released as part of the Penugin 70th Birthday celebrations! This is a great selection of poems, witty, short, to the point. Roger McGough has a similar style to Wendy Cope, or vice versa! Stay in bed for half the day. Half-dressed, half-wonder what to do. (Save the other half until latter). Other half rings up. Feel better. <-- Book is travelling! (May 23 2005)! Just received this PM from UrbanSpaceman - I will buy another copy and try again! 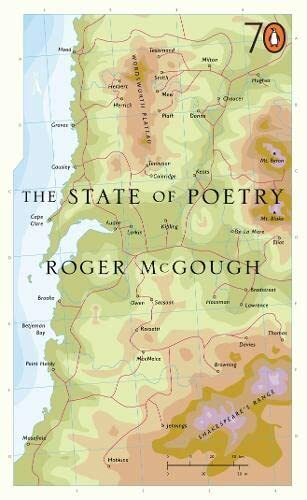 I have just received an empty yellow envelope, which I would guess was meant to be the Roger McGouch poetry book. The envelope flap was completely open, so I think that the envelope seal gave out (though it's possible that a postperson decided to half inch the book). Having just posted off three books myself, I'm now worried that the adhesive on those may do the same. Maybe we should both use sellotape as well? This book is missing, presumed dead! Please go to the replacement book --> Here!